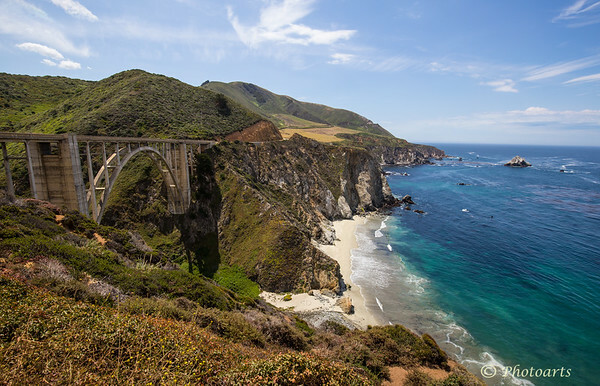 Pacific Coast Highway (PCH) crosses the historic Bixby Bridge and winds through the hills of central coast as the blue Pacific ocean stretches endlessly. Stunning - hope to see this myself some day! Bixby Bridge is always a great spot to stop--you had a great day for this shot. Stunning landscape !! Superbly composed and captured !! You did a superb job capturing this scenic view.